19.5 cm, 210 g, branches up to 20 mm in diameter. 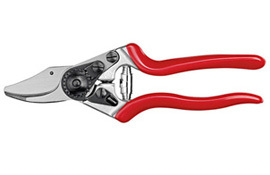 Secateurs for fine work with a compact cutting head. Non-slip grip coating, forged handles.